I finally completed my Challenge Modes (as Windwalker…I’m sorry), which means I have all these new trasmog outfits! These sets aren’t completely new. They might be old sets with slight modifications to better match the weapons. 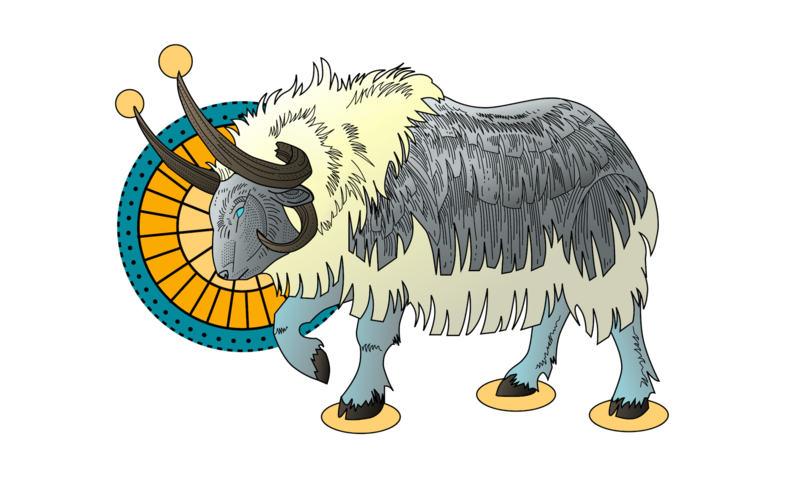 By the way, if you’re looking for advice in Challenge Modes, there’s a Tankcast for that! 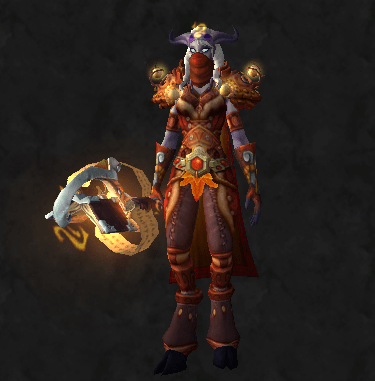 A mix of monk Tier 16, Challenge Mode gear, and the Shado-pan tabard. A perfect match that doesn’t require much creativity (though it requires quite a bit of luck to get that belt). 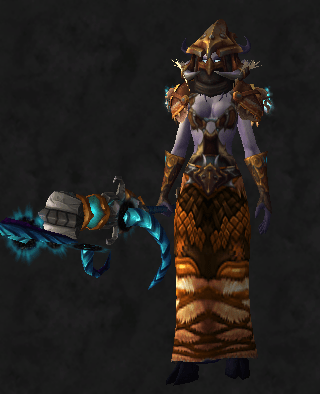 I wanted a simple set of armor that evoked draenei style without drawing attention away from the staff. The rune on the helm of normal monk Tier 18 is similar to the rune that appears on the staff. If you’re like me and sadly lack most of normal Tier 18, this set is a good alternative. 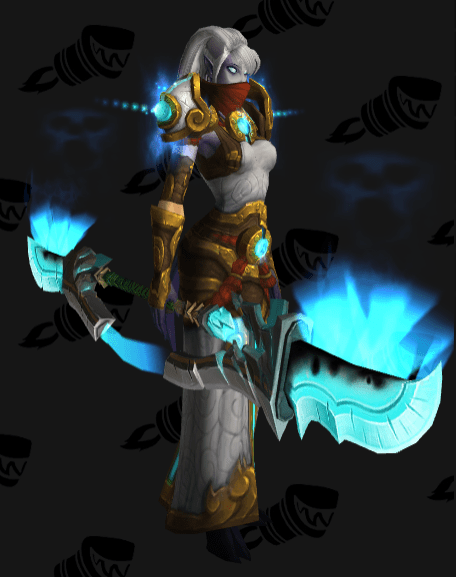 If you are lucky enough to own a set of normal Tier 18, then it works great with this staff! The yellow and beige match perfectly, and even the little balls on the shoulders match the foot of the staff. 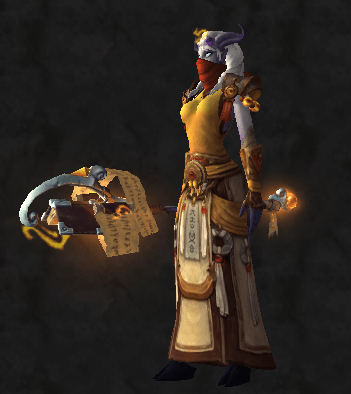 It’s difficult to align this creepy staff with any monk themes, so I modified a witch doctor transmog to match the trollish elements, instead.